"If …. every citizen realizes that the only guarantee for security and peace in this atomic age is the constant development of a supra-national government, then he will do everything in his power to strengthen the United Nations. It seems to me that every reasonable and responsible citizen in the world must know where his choice lies." From Albert Einstein's open letter to the General Assembly of the United Nations. 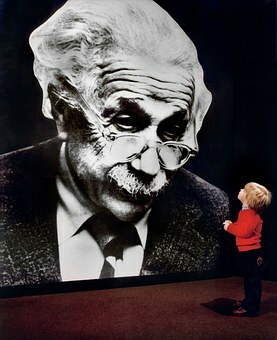 I've recently watched the National Geographic Bio-serial about Einstein. Yes there was quite a bit of poetic license but it was enjoyable and informative all the same. Einstein appears as a background character in one of my novels and I've been researching him quite a bit. He was used to being a stranger. He left his native Germany to study in Switzerland. His first wife was Serbian. Sometime after he returned to Berlin when he had become an eminent scientist he was persecuted for being Jewish. He gained asylum in the USA but was constantly monitored and was even spied on by the Russian mistress he took after his second wife died. As a scientist he had grave concerns about the use of nuclear energy for war and encouraged the idea of a supra–national government. The United Nations goes some way to providing that, but they can't solve every problem. For me the most sickening about Blair and Bush's foray into Iraq was the division it caused within the United Nations. A few years earlier I'd felt very uncomfortable when we were at war over the Falklands. We seemed alone in the world. We lived near a lot of naval families at the time. War is not trivial and should be avoided. Let's not dismiss the years of peace in Europe that the Common Market, EEC, EC, EU has brought us. If I can be in favour of Brexit at all it is to be like Einstein. Let's get rid of borders altogether. Let's just have one world. But this would mean disbanding the whole of the EU and I'm not sure getting rid of all borders is quite what the Brexiteers mean. 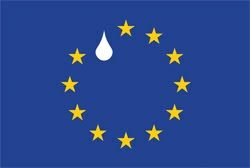 In the meantime, the EU remains a strong and stable force, even with all its faults, and it represents baby steps towards peace on the planet. Why would we want to go in the other direction? So whatever happens, I'll remain relatively European. I've been through a process four times now that has involved gradually understanding why others do things which seem a little strange to us, and then understanding so well that those routines and habits become my own at least some of the time. I'm now ready for that process to happen anywhere. Thus I remain relatively European not because I'm more British than European but because I'm even more a global citizen of nowhere.